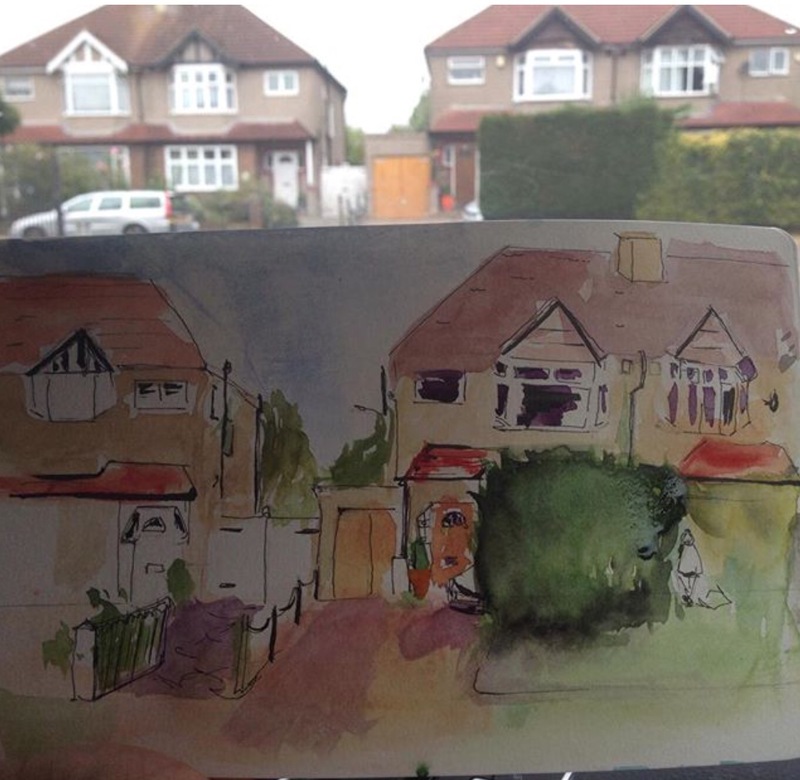 I really enjoy sketching houses from the comfort of my car. For me, good perspective really helps to bring a sketch together but it can slow me down especially when I like to work quickly and loosely as possible. I admire sketchers who can work quickly as well maintain great perspective. Liz Steel, Stephenie Bower and Suhita Shirodkar are amazing in how they tackle both. So, to keep learning and improving my approach, I have enrolled on Liz Steel’s Sketching Now Buildings course which starts this week. I am looking forward to learning new techniques, sketching more frequently and gaining confidence to step outside my car to sketch!